The artist is at home in the wilderness of uncertainty; you might say we cultivate a garden there. “I dwell in uncertainty,” Emily Dickinson wrote. Flannery O’Connor said the only experience a fiction writer needs is a childhood, and I suspect the baffled elements of a childhood are particularly good seeds. For example, when I was small, I obsessively wondered who my parents were before I was born. They rarely spoke about the past. Adult reticence, in general, shocked me. How could a person drive across the country, or go to war and back, or have survived the Great Depression, and have almost nothing to say about it? Now I know adults were busy with all the things that fill adult brains, and I was on a different wavelength. I was in love with the magic carpet ride of fairy tales. I thought adults had taken journeys and refused to share their stories. I imagined they kept the stories inside, like secret books only they could open. So when one of my parents happened to sing, I listened intently to detect evidence of their past lives, which I was sure was present in their minds like a palimpsest of old paint colors on a wall, almost visible beneath the thin veneer of the present day. My mother sang a love song, but it wasn’t for my dad–who was it for? My dad sang a song about fishing, “You get a line, I’ll get a pole, we’ll go fishing at the crawdad hole. . . ” but when had he ever gone fishing? Silly questions. After a while–by the time I was in fourth grade and rational–I knew these were “just songs.” But in a way they weren’t “just” songs, because they came from a sense of pleasure and ease and desire that was specific to the singer. The grain of the singer’s voice seemed to hold a secret key to personality and history. Singing conveyed an unspoken essence, almost a personal perfume. For me, writing fiction has remained akin to wondering about those songs, about how to tell stories that are somehow unspeakable. These days, we expect to find answers easily and clearly. Students need to know this? Test them. You don’t know? Google it. Who is that person? She’s on Facebook. It can be a defiant decision to let yourself have questions and experiences that make you feel lost, that make you aware of losing your bearings. You don’t know how to Tweet this wittily? You might be onto a story. Writing fiction entails trying to get the frame of mind of characters, the mesh of a person and the world they live in. A writer dreams into the texture of a character’s felt life, their consciousness. Suppose a character named Myra lived and died in Edinburgh; that’s the basic plot–life happens. The writer wonders: what in Myra’s life is smirr, is dreich, is skoosh? That is, who drifts through in the smirr of Myra’s half-remembered dream; what dreich drags her down; and what skooshes, swooshes, and surprises Myra? Writing fiction often feels like being being smack-dab in the middle of the mess of life. But somewhere in the mess is what matters. We read to see how a story gives shape to and makes sense of the mess. For example, how to describe a person realizing that he is not special, that any meanness the world dishes out might happen to him, indiscriminately? In War and Peace, young Nikolai Rostov is running away from a skirmish and realizes that a French soldier is about to kill him. “Me, whom everyone is so fond of?” he thinks, astonished. Death could happen to me? My recent book Out of Peel Tree is a novel in stories, a delightfully flexible form. There’s an overall family saga, and most of the chapters can stand alone as stories. A few of the longer stories took years to write. The material would not take the shape of fiction easily, but these messy stories breathed down my neck (rather huffily and rudely sometimes), hummed in my ear, demanded completion. I often felt I was writing a fictional poem because I wanted to get to some essence of what words can’t say. I sought what poets may call the sublime, what transcends the ordinary, but my characters had to go through the muck of life to get there. They had to deal with each other, unlike the speakers in poems, who may address another but don’t really have to mess with them. Here are some questions my characters asked: A child wonders, who was my mother when she was a teenager? A man on parole wonders, how can I stay close to my new lover, when I still feel the bars of the prison cell in my head? An old woman wonders, if I move to a new apartment, will the comforting ghost of my husband accompany me? A woman wonders, now that my fiancé has cancer and I don’t want to marry him, how do I tell him? The stories don’t answer the questions so much as investigate the territory of the uncertainty. I would like to write a book about creative writing just so I can have a chapter in the middle that consists of blank pages. The chapter title would be: This is where no one can tell you what to do. There is no path through the snowy woods or the strange city. You figure out some big part of writing on your own–and keep doing so. I don’t know why certain characters with murky questions kept nagging me. But they did, so I tried to give shape to some passages in their lives, articulate a story implied by a haunting tune. 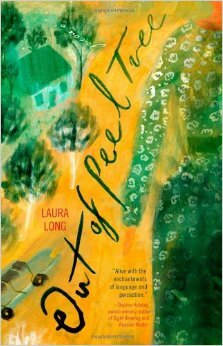 Laura Long’s first novel is Out of Peel Tree [my review], and her two poetry collections are The Eye of Caroline Herschel: A Life in Poems and Imagine a Door. 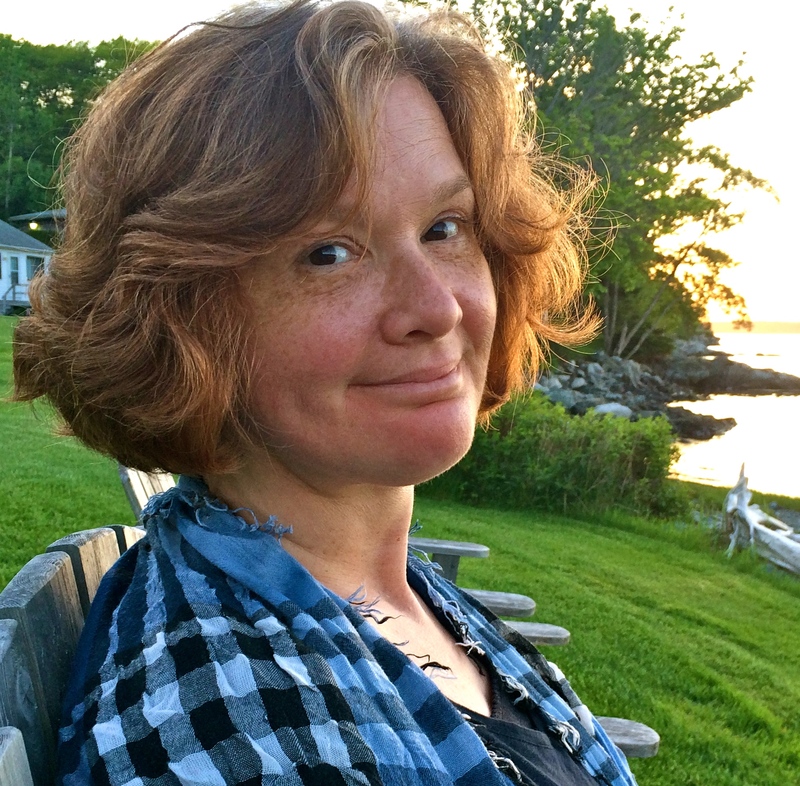 She has published in many magazines, such as Southern Review, and been awarded Barthelme, Michener, and Virginia Center for Creative Arts (VCCA) Fellowships. She lives in Charlottesville, Virginia and teaches at Lynchburg College and in the low-residency MFA Program at West Virginia Wesleyan. She is working on her second novel. Previous Liz Prato: What’s So Damn Funny About Death? Entirely and artfully lovely, Laura. Thanks for writing this.